Diamond Anniversary Edition (DAE) goes back to 1971 with All Things Are Possible, which was originally the fourth CD release from the label, now on vinyl. The first four titles (Here I Go Again, Old Times They Are Not Forgotten, Let Me Take You Home and Holding Back The Years) were a complete sell out and were well received by vinyl collectors. 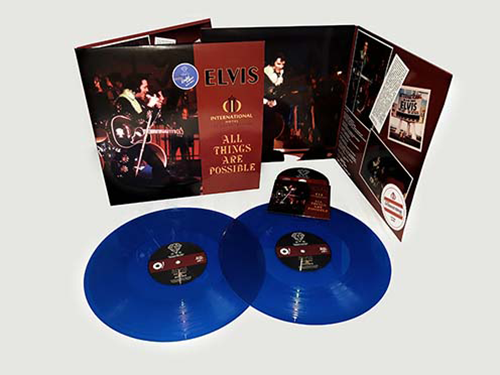 Now All Things Are Possible is available on this deluxe double vinyl album. It mainly contains the January 27th 1971 midnight performance. These recordings are among the very few known soundboard recordings from 1971. Of course, the show is included on CD too, remastered and updated for the best possible sound. This release is very limited and is available in red or blue vinyl presented in a stunning gatefold sleeve.